In our latest Launch Legends episode, Diane Perlman, CMO of Unruly and Richard Larcombe, former CMO of Virgin Media share their top tips on how you can motivate your team, manage expectations and reduce the risk of product launch failure. If you can’t watch it above, please find the transcript below so you don’t miss out! Richard Larcombe : So where do I start? With launch failures, there is one that springs to mind. It is really about marketing isolating itself which is probably a very tenuous link. This sometimes showcases what marketing is like, you sit on the board. The problem we had is that we had this launch that went incredibly well. For two reasons really, I can take credit for one of them which was based around strategy and there was one particular individual who was very vociferous around this particular product. The other element was our competitors who were moving around us at the same time. We couldn’t control that but it made our product just go through the roof. Back at base, we actually just couldn’t handle it and it was an absolute nightmare. Suddenly this great thing turned into a colossal disaster. The basis of it all was that we just didn’t communicate as a business to actually understand the tentacles and how far reaching this could get. Make sure your Ops Director believes your idea. There was a lot of finger-pointing that night. James Roles – Did you retain a job? (Laughter). Richard Larcombe – I’ve got a great startup. Nearly £6m! Diane Perlman – The Question kind of reminded me of an anecdote. I was on a panel a couple of years ago. It was an innovation event and they had a bunch of corporates on stage. The topic was failure and it was really interesting as they were asked to tell stories about when things hadn’t gone so well. However at the end of each story, they would come up with ‘but at the end, we managed to rescue it all’. No one could quite tell a story of a failure as it’s not in corporate culture to tell those kinds of stories. Now or rather over the past 4 to 5 years, I have been working in the startup world, in this startup accelerator business and I’m now in a scale up. I was talking to one of the startups who was presenting with me on stage after that panel that I had watched. And I asked what he thought about failure and he said ‘well I fail at least a 100 times every day!’ Success doesn’t happen overnight and having that freedom to fail. When I was at Microsoft, even though I was in a big corporate, I was very privileged to be in an amazing team and we were a consumer marcomms team. I was on a windows phone product. We got to try things and we were a sort of challenger brand inside Microsoft at that time when Windows 8 was top of the game. We were pushing an underperforming product up a hill. We got it from under 1% to 12% market share by the time I left that role. It was amazing. We got a chance to try things though and if it didn’t work, we would learn from our lessons and move on. It set me up really well for more work in startups. It taught me the lessons to try things, fail fast and move on and that is the way to look at it. 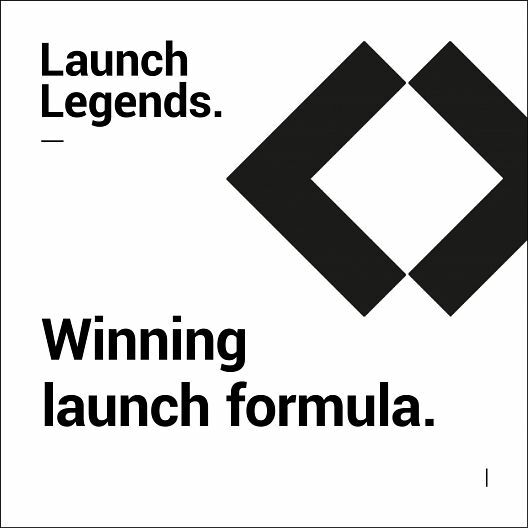 Discover another Launch Legend clip, when Diane and Richard discuss what the winning launch formula is.